to develop policies on human rights, social affairs, culture and health. The target groups are young people, women and girls at risk; women of different ethnicities; people in disadvantaged position; people with problems in their development; people working in the arts, human rights, humanitarian sphere. 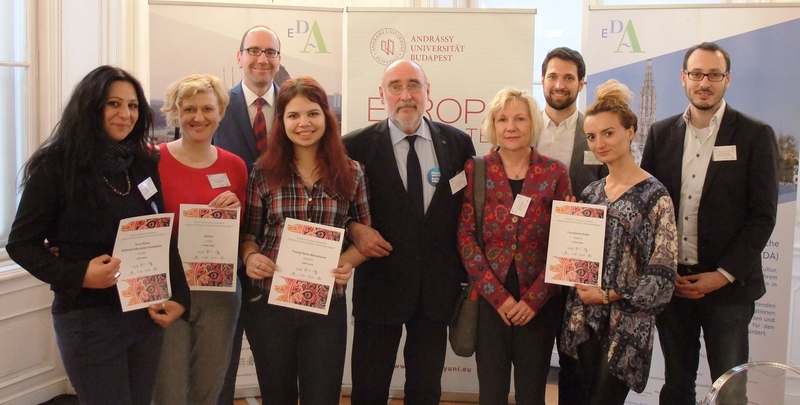 The project aims to give a chance to women of Roma ethnicity for equal participation in public life. Along with women from Bulgarian and Turkish ethnicity will create and overcome cultural differences through the power of the spirit expressed in creativity. Art workshop in which a group of at least 24 women of Roma ethnicity, nurses and women from other ethnic groups will be able to create by virtue of izkustvoto.V studio will be working with the synthesis of the arts. Meetings will be weekly and will begin the path of transformation by working with drama theater, rhythm therapy djembe, drum and drum handling voice, movements and dances. After each practice will share their experiences by working with watercolor, clay, legal masks. So, through experience will develop spontaneity and kreatvnostta the target group. At the end of the project will make an exhibition performance, namely izbara their theme will make performance by working with movement / body / voice amid the rhythms created by them through the drum. In the hall there will be exhibition of their paintings and other artistic material created while participating in the workshop. The Uccu Roma Informal Education Foundation was established nearly six years ago with the aim to provide an opportunity to meet and dialogue between Roma and non-Roma youth, reducing prejudices, and the majority társalomban existing preconceptions against Roma. The Uccu Foundation in Budapest and Pécs for several years running and has been since September 2016, in Miskolc effectively. The body’s engine as enthusiastic young volunteers give, Roma who are taking on their own identity, an honest and open dialogue is called for primary school and secondary school students. These occasions provide an opportunity for cultural diversity and identity, Roma groups learn about the development of critical thinking, questioning prejudices. Our Foundation offers six different training modules for students and one teaching module for teachers. The creation of a joint dialogue between Roma and non-Roma students in informal education methodology implemented. The key components of informal education, interaction between the active participation of the customer experience and participate in the learning process. Accordingly, many informal learning is not necessarily a conscious process, but sometimes it may be more effective, because the lived experiences, you will always have more than shown, seen, or heard information. The aims of the project were to bring Roma and non-Roma closer to each other in order to fight prejudices and stereotypes against Roma through and open and genuine platform for interaction. Through this program the Foundation had the chance to widen our target group to the audience of the Ördögkatnal Festival in Southwest Hungary and spread the ideology and mission of Uccu Foundation. The Festival brings together more than 50,000 people from all around Hungary and offer a wide-range of cultural programs. An indirect aim of the project was also to engage the young Roma volunteers or Uccu Foundation from Budapest, Pécs and Miskolc and to involve the m in this project with different roles. The Festival participation provided for them a good opportunity to actively discuss the problems related to Roma in different areas of Hungary, and also to build a strong network of young Roma citizens. 1st station: a „Roma identity in pictures” exhibition – the 15-piece exhibition introduced the life of average Roma families through a photo exhibition. Volunteers are available for the visitors to talk about Roma identity, traditions and culture, stereotypes in relation with the pictures. 2nd station: „Being Roma in Hungary – come to my world” –The living library created a platform for the volunteers to introduce the culture, traditions and specific characteristics of the Roma groups (romungro, olah and beas) in Hungary through their own personal stories. 3rd station: Fairy tale corner – Volunteers read Gipsy tales mainly for children, but not exclusively. 4th station: Roma quiz-playful competition on Roma/Gipsy related topics. 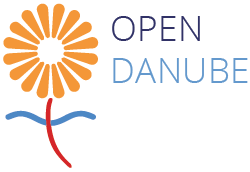 The European Danube Academy granted a lump sum of 1.500,00 € to the Project Partner to carry out the project described in the project description. RoUm project brings together three important elements: – empowering and bringing online Roma entrepreneurship, at the same time supporting their social inclusion, creating social innovation, and developing and teaching useful skills and trades- initiating sustainable social entrepreneurship, by directly supporting responsible consumer decisions and artistic expression- taking care of our environment, with focus on renewable materials and recycling processes. The aim of the project is to start an online shop (Auction Facebook Page in the pilot project) selling home design pieces – such as furniture and art pieces – that were upcycled by the Roma community and artists working together. The projects start from two premises, the first that Roma entrepreneurship must be supported and provided a channel from the margins of the society into its center and to the digital society and secondly that Roma inclusion must be based also in learning from Roma and not paternalistic approach. The project provides visibility and support for the Roma as people we can learn from when it comes to not wasting and recycling, while at the same time supporting (financially and through visibility) the progressive long-lasting practice of the Roma community by enable them better positioning on the market, moving their business from marginal suburban trade to online selling of product with added value. After Donation being approved, we immediately started with the preparation: setting timeline with the interested artists, Roma and choosing the appropriate location. The Roma community of Slavonski Brod was chosen because of the previous successful cooperation with Roma coordinators on inclusion/education projects in the Roma settlement Josip Rimac, with population of more than 1500 people. The space for the workshop was provided by one of the Roma in his house under construction. The two well-known artists from Zagreb Morana Stin č i ć (TV producer and artist) and Igor Lenard (academic sculptor, mentor and TV sets designer), working as artistic couple, showed interest to share their skills with Roma in the initial phase of project design. The first workshop took part from 16 to 18 June in Slavonski Brod implemented by 3 Roma, 2 artists and project manager. The project manager organized accommodation and food, supplied materials for work, provide complete communication/coordination and driving services. The synergy and open communication was immediately achieved, and creative working atmosphere easily developed. Roma provided old forgotten objects such as old wheels, carriages, metal bowls and old military boxes, lamps, pieces of curtains, old mechanisms etc. Artists and Roma proposed solutions for the new objects made from them. Joint decisions were made on what the certain object(s) will be transformed into. Than the work on object started, with clear guidelines and supervision by the artists on the techniques and materials used. The whole Roma community was interested in the workshops, Roma men and women from the settlement were coming and supporting their work, children were watching, playing and communicating with artists. All finished with the Milan Mitrovic’s family preparing dinner and cheerful singing Roma songs accompanied with Milan’ s father accordion. The director of the local (mostly Roma) school came over and expressed interest for a donation of one of the objects seeing as she felt having it exhibited in the school, will do much more for Roma acceptance and tolerance than theoretical workshops. Four (4) products were completely finished in 2 days: baby stroller turned into piece of furniture for restaurants, Roma wheel/old bowl turned into standing lamp in the colors of Roma flag, old metal roasting mechanism turned into lamp, and old metal bowl turned into bathroom mirror with shelve (please see pictures and stories here The atmosphere was so motivating and uplifting that both artists and Roma insisted that the resources must be found for continuation – the next workshop in open air by the end of summer 2017 in Igor Lenard’s artistic atelier near Zagreb, which he offered for free . The project managers had no choice but immediately started search for ad hoc donor’ support which was additionally challenging in the period of summer holidays. Currently, there is a visible lack of commitment and of concrete actions of young Roma to make a change in their communities. Marginalised Roma children having a low self-esteem when compared with other Roma children (middle class) and even Romanian children, they rarely succeed to get out of their community and aspire for better life for them and their families. The main reason behind this is the lack of self-confidence, the feeling of inferiority and in a lot of cases the decision to hide their origins being afraid/ashamed of discrimination, harassment and exclusion. The everyday practices against Roma, such as discrimination in accessing social services, education, health areas, the practices of segregation, and marginalization are leading factors in the low self-esteem of Roma and the skepticism to be proud of their Roma origins and take responsibility towards their group or identifying themselves as Roma. In the city where we are based, Baia Mare, the mayor raised a wall between the Roma and non-Roma communities. However, several historical examples have proven that by exploring your own history can be challenged the racist stereotypes and asserted a positive identity. The movement of the Afro-Americans and the doctrines of the Jewish have shown that the self-confidence and commitment can be acquired if the group is aware of its identity, history, events which influenced the historical path, achievements of their community in order to make them proud of it. Pride is an essential element to motivate the group to take action for the common cause to bring a change. In this case the Roma role models are those who can have an impact on the young Roma, who can decide either to follow them or by creating themselves a new role model. More than that, our experience from previous cultural projects has shown that building on the identity of the young Roma, exploring their historical path, acquiring the necessary skills, capacities, they can do change and feel more motivated and self-confident to take action for their community. The participants asserted that achieving pride is a core motivation for commitment and action. Based on the impact and these positive results we consider that it is extremely important to continue build up on Roma self-esteem and cultural capital. The project aims to bring together Roma children from communities from Northern Romania, Baia Mare, through cultural activities (dance, crafts and seminars). The target group will include children aged 13-18 from Baia Mare. The group will consist of max. 25-30 marginalized children (we will consider the gender balance). The project will take place during the summer holiday when children are free of school and can dedicate time to explore their Romani identity and heritage. The intended period is July 1- August 31, 2017. We would like to hold different days of activities and have a break of few days in between. The aim of this is that the process of identity building is not forced but rather gradually acquired. The goal of the proposed project: Barvale Terne Roma, is to create a young Roma community with an enriched identity who will be able to go beyond their condition and interact and discuss with other young Roma and non-Roma and get empowered and proud of their ethnic identity. The main objective of the project is to strengthen the Roma identity and pride through (identity). The project envisages, first, advertising a public call for the gathering of 10 Roma high school students from community which will undergo a workshop for career guidance. The workshop will be led by project coordinator who passed training at the Belgrade Open School. This is an added value to the project, since the coordinator will do it without special funding. The workshop topics that will be covered: a modern concept of career, personal career plans-goals, possibilities and ways, possibilities for further education, peer education. 2 workshops will be organized that will last for 6 hours. Knowledge that they have gained, participants will be able to quickly check and apply by conducting peer education workshops in their schools (at least 4 of these workshops will be held). The school will form a team (from our beneficiaries) that will organize a job fair in school. The concept of the fair is a little different from practice. Local companies will be asked to present plans for employment in the next 5 years. The information that will be given relating to the profile and number of workers. At least 5 local firms will be included. The goal is to get students acquainted with the real situation on the labor market in the local community and are accordingly preparing for further education and development. This fair will benefit all high school students regardless of nationality. The project will improve personal competence of Roma pupils, additionally project will affect the deeper inclusion in peer community and approaching this target group to employers. 40 high school Roma students visited job fair-200 high school students visited job fair.